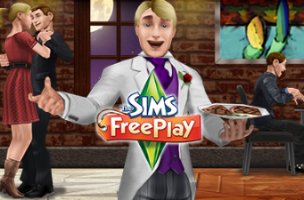 EA Mobile has announced the latest update for its life simulation game The Sims FreePlay. This update brings a fine-dining experience to Sims via the Candlelit Fork Restaurant. With this update, the game now offers new themed quests to complete, a new hobby for Sims to master and more. Players level 7 and up can now master the Cooking hobby, teaching their Sims secret family recipes and helping them cook home-cooked meals for themselves and their Sim families. A matching “Bread Winner” quest series is also unlocked at level 7 and above. In addition, players that have reached at least level 16 can complete the Sous Judgmental quest series to unlock the new restaurant and themed clothing for Sims. This restaurant offers lobster dinners, a grand piano and other sophisticated touches, as well as a rooftop bar for Sims to mingle with friends and strangers alike. This culinary update is available to download for free in The Sims FreePlay on iOS, Android and Amazon Kindle devices.